The mothers of the 3 boys murdered in 2014 Hamas kidnapping share their feelings at being chosen to light Independence Day torch. The mothers of three Israeli youths who were kidnapped and murdered by Palestinian Arab terrorists in 2014 will take part in this year’s torch lighting ceremony marking Israel’s Independence Day. Arutz Sheva spoke to Racheli Fraenkel, the mother of Naftali Fraenkel, about the honor. "This was a very unexpected honor," Fraenkel said. "I personally have the feeling that this is not for us. It's for this amazing nation that stood together in difficult times and, G-d willing, will know how to stand together in the future." She said that their participation in the torch-lighting ceremony represents "a spirit that we can find all over Israel. There are so many people that suffered loss and so many people that chose to do good things with their life from there on." "Our motto was unity, and it still is. It grew of the people. It grew from everybody coming together and caring together, and we truly believe that there are things that could be done to make that unity felt on a day to day basis, and not only in tragic circumstances." Iris Yifrach, the mother of Eyal Yifrach, said that at such moments the pain of their loss resurfaces, but with it also comes the feeling that the people of Israel embrace and strengthen the three families. "We learn to live a new life. There is no understanding, but there is adaptation. We try with all our strength, even when it is very difficult, to understand that we continue the way of our sons, to rejoice even when it is difficult and to cry when you feel you must." 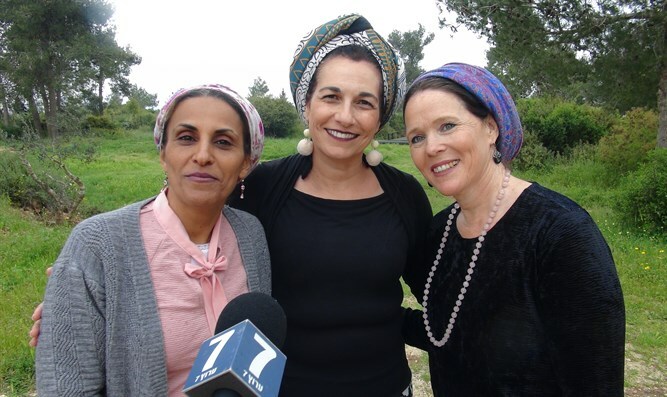 Bat Galim Sha’ar, the mother of Gilad Sha’ar described the social and social activity of all three mothers and their desire to channel the unity of the Jewish people, which is expressed in times of pain, to bring this unity into an expression of the good. "We are not naive, but in the end, even after all the major disagreements, at the core there is something real that we have experienced, and we cannot deny it," said Fraenkel.